JAMES SCHETTINO ARCHITECTS is an architectural firm working in Connecticut and New York with specialties in Custom Residences, Alterations & Additions, Outbuildings, Equestrian Architecture, and Garden Architecture. Our firm's practice is premised on creating classical designs with anchors to the past while stressing modern floor plans and amenities. 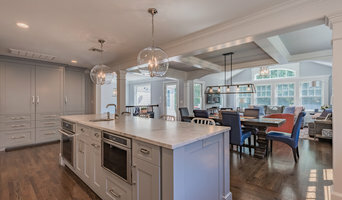 Custom Home Building & Remodeling: RRBuilders specializes in high quality custom new home construction, renovations, additions, outdoor environments and estate management services. Building homes since 2001, R.R. Builders is a multi-award winning firm is known as being one of the top builders in the region. Areas served include: Fairfield County, CT; New Haven County, CT; Litchfield County, CT; Westchester County, NY; Naples, FL and beyond. 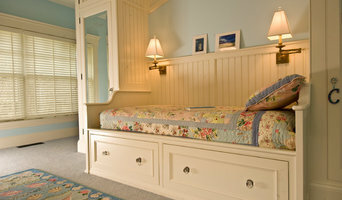 RR Builders is a full service general contractor and construction management firm. Richard Rosano, managing director, is a Certified Green Builder (CGP) by the National Association of Home Builders. The firm also offers estate management services to maintain your home and property. This service allows our clients to make one phone call to RRBuilders and our firm will handle all the coordination for the proactive maintenance, emergency service, and capital improvements your home requires. 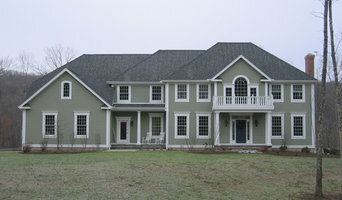 The Home Builders and Remodelers Association of Connecticut has awarded RRBuilders multi HOBI awards, the home building’s most prestigious honor, for the homes we have built. We are also a recipient of the prestigious “Builder of the Year” award. Our firm has been featured in many trade publications, such as This Old House and The Modern Estate magazines. 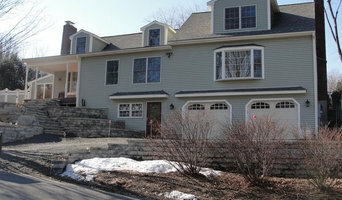 Locations in New Canaan, CT, Bridgehampton, NY, Saddle River, NJ and New York, NY. For more than six decades, Hobbs, Inc. has been crafting distinctive new custom homes, additions, and renovations. 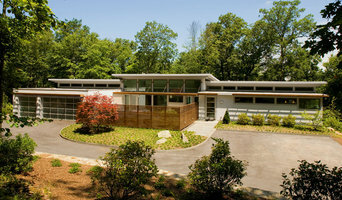 We work with many of the most renowned architects and accomplished craftsmen in the Tri-State area and beyond. Our employees constitute the most professional collection of talent in the high-end construction business, consistently delivering a client-focused, superior building experience. In addition, Hobbs, Inc. makes a lasting promise always to be there to support you and your home. Hobbs Care, a division of Hobbs, Inc., offers a dedicated team of seasoned project managers and service representatives to help with every conceivable task, from changing doorknobs and hiring a plumber to constructing accessory buildings and renovating original spaces. Hobbs Care allows our customers to more thoroughly enjoy their homes and lives by streamlining care, maintenance, and improvements. Trust Hobbs, Inc. to execute your vision for the perfect home, and rely on Hobbs Care to nurture and protect it.